New design! Long sleeve salmon colored shirt, with front hand muff pocket, new logo design on the heart and back, with tag line Women Strong. Farm Smart. 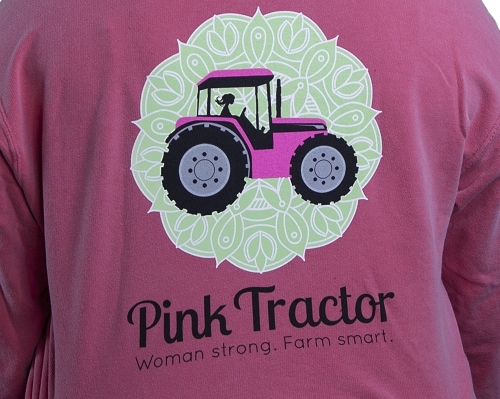 Super soft, comfy and perfect for any woman in ag! All of our shirts run a little large. We've put them through a low heat dryer with no problem and find that they do not shrink. You may want to go down a size if you prefer a tighter fit.